Yesterday, we talked about Saturday’s accident where Tony Stewart hit and killed another driver, Kevin Ward, who had gotten out of his car on the track. There continues to be much discussion and speculation surrounding this tragic incident, but we will pick up our discussion where we left it yesterday. We imagined a fact scenario that occurred off the race track, involving two friends, Sam and Bob. The two friends had argued and Sam got in his car to drive away. Bob saw Sam’s car approaching and went out into the street, yelling at Bob. Sam saw Bob and tried to scare him by driving closely to him, but the road was wet and slick and when Sam tried to swerve away from Bob, the back of Sam’s car ended up hitting and injuring Bob. Yesterday, we discussed that Bob’s action for damages, if rooted in negligence, would be met with an affirmative defense of Sam’s contributory negligence. One defense to contributory negligence is to show that the defendant was grossly negligent. However, in looking at North Carolina law, we determined that Sam’s behavior didn’t really fit in the established categories of gross negligence. But our common sense seems to tell us that Sam’s actions were more than merely negligent. If they were not grossly negligent, then what were they? The 1985 North Carolina Supreme Court case, Pleasant v. Johnson, gives us some guidance by discussing the term “willful negligence” in the context of the Workers’ Compensation Act. The plaintiff and defendant in Pleasant were co-workers and the incident at issue occurred at their workplace. The plaintiff was returning from lunch and walking across the parking lot. The defendant, a friend of the plaintiff’s, drove his truck with the intention to drive very close to the plaintiff, not to actually strike him, but to scare him as a prank. However, the defendant misjudged the distance and hit the plaintiff, seriously injuring his knee. The concept of willful, reckless and wanton negligence inhabits a twilight zone which exists somewhere between ordinary negligence and intentional injury. The state of mind of the perpetrator of such conduct lies within the penumbra of what has been referred to as "quasi intent." Even in cases involving "willful injury", however, the intent to inflict injury need not be actual. Constructive intent to injure may also provide the mental state necessary for an intentional tort. Constructive intent to injure exists where conduct threatens the safety of others and is so reckless or manifestly indifferent to the consequences that a finding of willfulness and wantonness equivalent in spirit to actual intent is justified. Wanton and reckless negligence gives rise to constructive intent. We have previously acknowledged that wanton and reckless behavior may be equated with an intentional act for certain purposes. Punitive damages may be recovered in an action for an intentional tort, though not in suits for ordinary negligence. By allowing recovery of punitive damages in cases involving wanton negligence, we have implicitly treated such cases as actions for intentional torts. The intent with which tort liability is concerned is not necessarily a hostile intent, or a desire to do any harm. Rather it is an intent to bring about a result which will invade the interests of another in a way that the law forbids. The defendant may be liable although intending nothing more than a good-natured practical joke, or honestly believing that the act would not injure the plaintiff, or even though seeking the plaintiff's own good. [t]he defendant's liability extends, as in most other cases of intentional torts, to consequences which the defendant did not intend, and could not reasonably have foreseen, upon the obvious basis that it is better for unexpected losses to fall upon the intentional wrongdoer than upon the innocent victim. 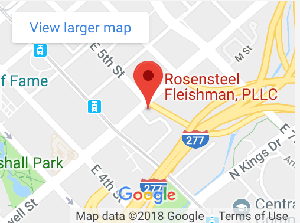 If you have been injured in a car accident, contact an attorney at Rosensteel Fleishman, PLLC (704) 714-1450, to discuss your option.